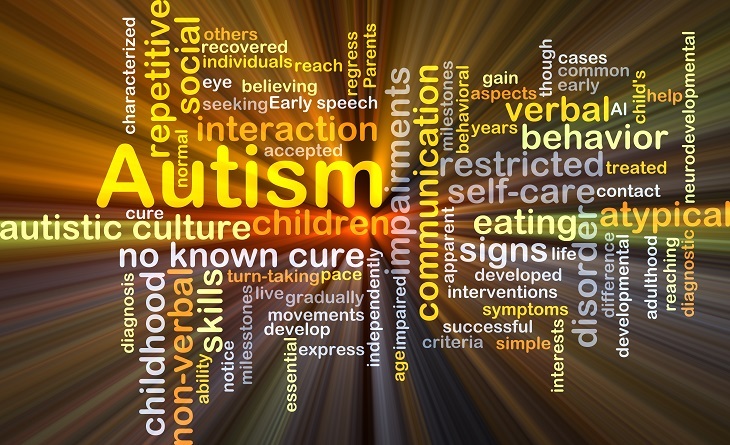 So what is autism or autism spectrum disorder (ASD)?, a highly unpredictable neurodevelopmental condition that is initially seen during childhood. It charts a stable course without debility. Clear indications begin gradually after around six months of age and become pronounced by two to three years of age. It continues through adult life in a more subdued form. Autism is generally recognized by a trio of symptoms- insufficient social contact; lack of communication; and restricted interests with monotonous or repetitive behavior. As per data available with the National Institute of Health and the Centers for Disease Control Prevention, autism is assessed to affect 1 out of every 160 births. Estimation says that nearly one and a half million Americans are afflicted. Autism is believed to grow at a rate of 10 percent annually and is a fast growing disorder. A report by the Department of Education in the United States stated that there was about 172 percent increase in occurrence of the autism condition in the year 1999. A report by the Autism Society of America estimates an annual cost of approximately 200 to 400 billion dollars to deliver services to autism condition in a period of over 10 years as compared about 4 million people expected to be affected by this disorder over the next 20 years. It is also believed that the autism condition can be prevalent in any social background regardless of race, gender or class. It is also true that it afflicts males five times more than females. There are however, various degrees of autism in different individuals. This being the case, an early diagnosis is highly recommended by experts in the field of autistic studies. In doing so the child has the advantage to immediately involve in the specialized programs available, catering to the nurturing of the individual. Early detection can help autistic children improve self-care, social, and communication skills. Though there isn’t a known cure, cases have been reported of children who have overcome the condition. It is also known that not many children afflicted with autism live self-sufficiently in adulthood, though some are reported to have become successful. Over a period of time, an autistic culture has evolved, with a few individuals seeking a cure and yet others with the belief that the autism condition should be accepted as a difference and not treated as an ailment or disorder. As a parent, one would not want to believe that the child has a problem. However, when it comes to autism, detecting it early makes a world of difference. The younger the child, the better is the influence of action on signs of autism. But regardless of the child’s age, one should never lose hope. Appropriate treatment can diminish the disorder’s effects and assist the child to learn, develop, and flourish. A parent is in the best position to detect the initial warning signs of autism. The parent knows the child better than anyone else and witnesses behavioral patterns and traits that a specialist or a pediatrician might fail to notice during a brief and quick visit. Thus, though the views of the pediatrician are important, the parents’ own observations and experience should not be discounted. The first and earliest signs of autism include the absence of normal behaviors as opposed to the presence of abnormal ones. This being the case, the symptoms may be difficult to spot. Sometimes, the initial indications of autism are even misunderstood as signs of a perfect baby, as the infant may appear quiet, independent, and straightforward. Nevertheless, one can catch warning signs early if one knows what to look for. Respond to his or her name. Point or wave or use other visual signs to communicate. Follow the sign when pointedout to things. Make noises to get attention. Replicate movements and facial expressions. Reach out to be picked up. Ask for help or make similar other requests. 6 months: Lack of big smiles or other joyful expressions. 9 months: No sharing of sounds, smiles, and other facial expressions. 12 months: Lack of reaction to name; no gabbling or “baby talk;” no back-and-forth signals, like pointing, reaching, or waving. 16 months: No spoken words. 24 months: No expressive two-word phrases that do not include imitating or repeating. If early intervention is possible, treatment can take full benefit of the young brain’s extraordinary malleability. Although it is difficult to diagnose autism before 24 months, symptoms often surface earlier. If signs are noticed by 18 months of age, intensive treatment can help to redo the brain and reverse the symptoms. 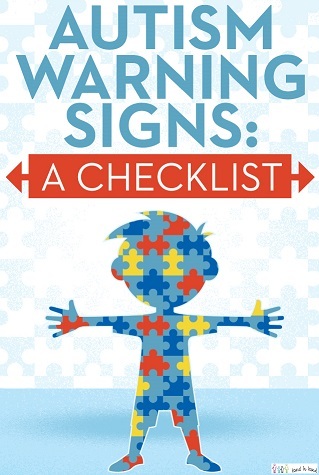 What Is Autism Warning Signs Checklist? in infancy and early childhood, instigating delays in many areas of development such as learning to speak, play, and social communication. Opinion around what causes autism and how best to treat it is varied. However, the fact that early intervention and intensive care helps in its treatment is widely agreed upon. The benefits of early intervention are many. It helps in the child’s development during the critical stages. Autism services rendered inside of the context of family will help improve developmental as well as educational advantages. It would also decrease the anxiety and frustration as well as the feeling of seclusion the family might experience. Children would benefit greatly, showing healthier brain function as well as advances in their aptitudes to communicate with and perform like other children. And most of all it would help the afflicted children grow up and become creative and independent persons. Early intervention services are provided in a therapeutic environment. The parents or guardians of the child are requested to be present at the sessions since it would be appropriate to work with them in tandem. These autism services are usually provided by fully competent personnel. There could also be involvement of additional team members, depending on the needs of the child. Statistics show that between 25 and 50 percent of children receiving intensive early intervention programs will move into general education by Kindergarten and many others will need significantly less service provision in future years. The child’s present levels of physical development, cognitive development, communication development, social or emotional development, and adaptive development. Steps to support the child’s transition to preschool or other appropriate services.